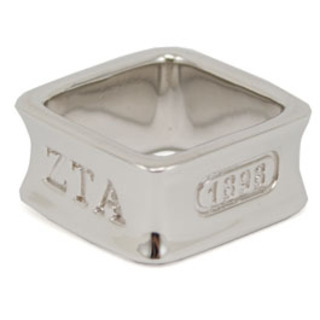 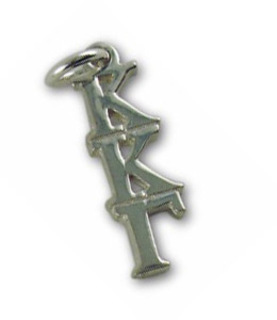 Find the largest collections of sorority jewelry at Greek Gear, including sorority rings, lavaliers, sorority charms and more. 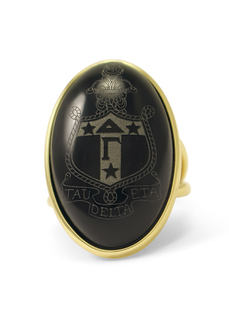 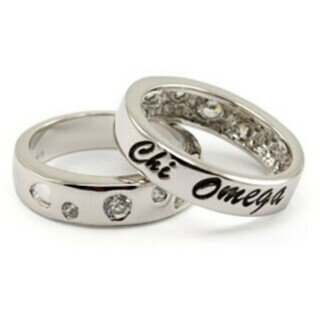 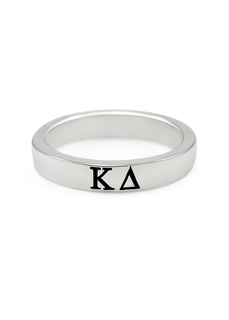 Our rings come in a variety of options, including band rings, spirit rings and chapter rings. 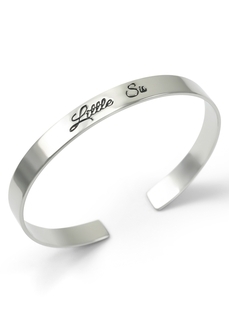 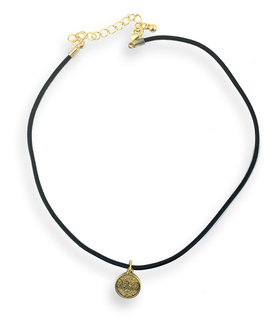 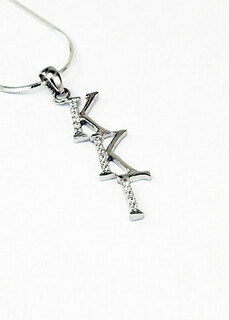 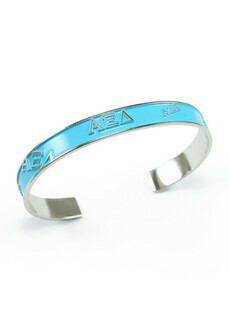 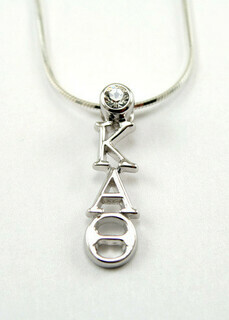 We offer numerous sorority necklace and bracelet designs. 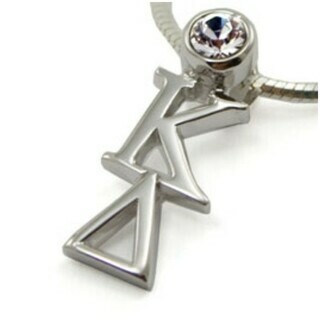 Lavaliers date back more than a century, when a fraternity man would present a gold or silver pendant to the women he loved. 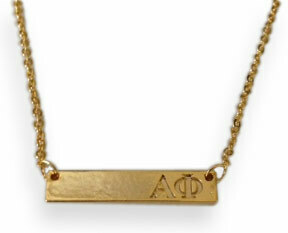 Today, a lavalier pendant on a chain is also a gift from one sorority sister to another. 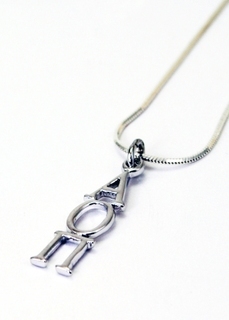 A lavalier is a friendship gift, and it's a popular present for mom for birthdays or Mother's Day. 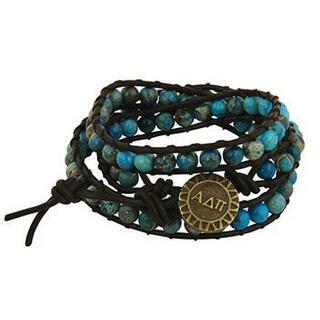 It's a beautiful buy for you, too, to add a lovely accent to your outfit. 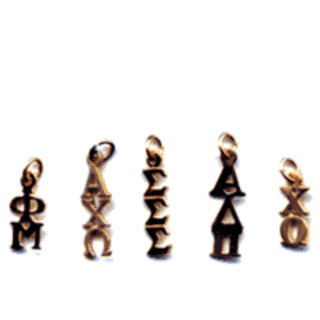 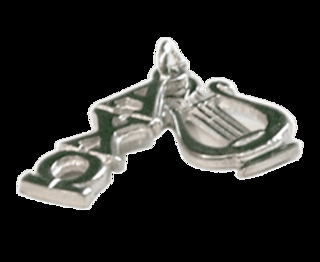 Choose the Greek letters for your sorority to create a pendant that can dangle as much as 3/4 inch in length. 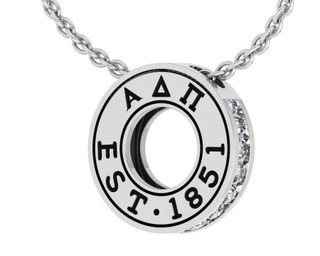 Create a double pendant with a sorority mascot and Greek letters. 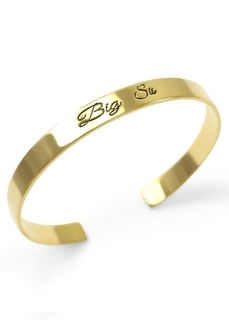 They're favorite big sister gifts. 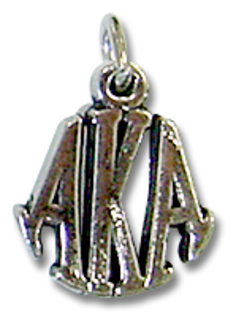 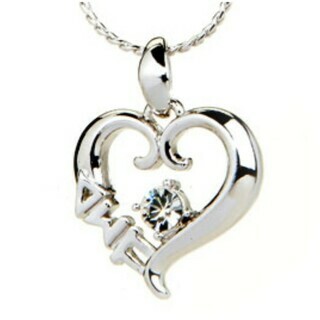 An optional chain is available with the pendant. 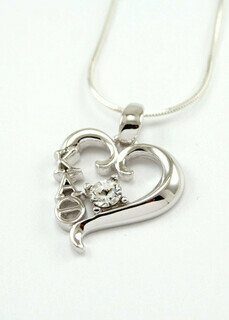 We also carry lavaliers embellished with a single pearl or gemstone. 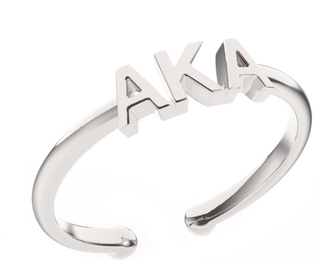 Shop our earrings, bracelets and rings. 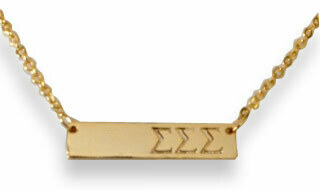 Our sorority cultured pearl toggle necklace is exquisitely crafted of hand-strung and hand-knotted real pearls. 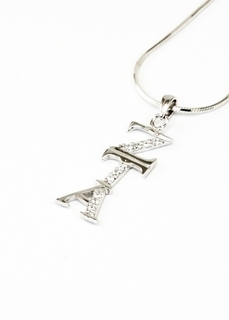 A sterling silver toggle and a sterling silver lavalier add the perfect flourish. 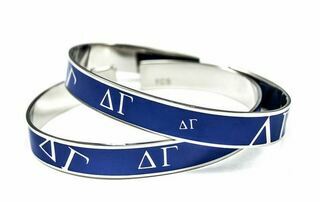 We also carry a matching pearl toggle bracelet with a pendant containing your Greek letters. 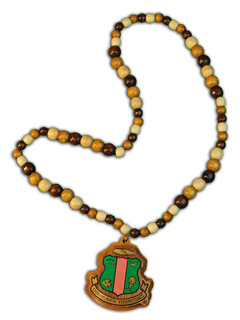 For casual fun, shop our colorful wood bead Tiki necklaces with your sorority's crest at the center. 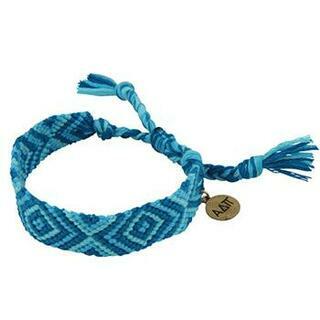 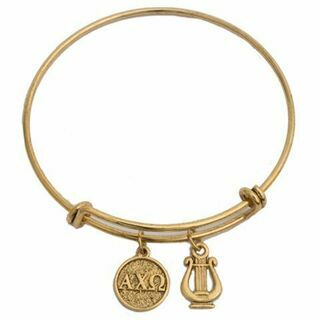 We have charming sorority dangle bracelets, trendy rhinestone bracelets and heart charm bracelet selections. 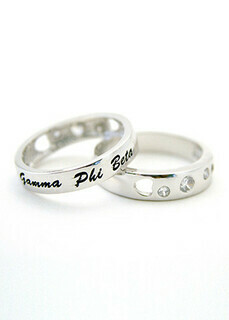 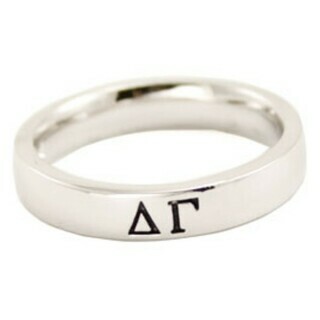 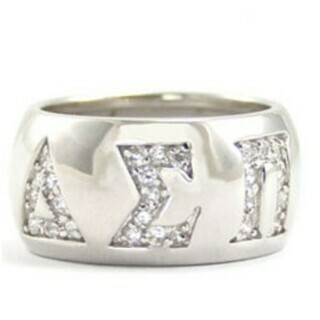 Grace your fingers with our gorgeous Sorority Forever ring. 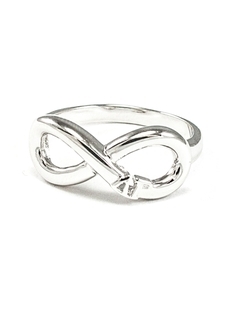 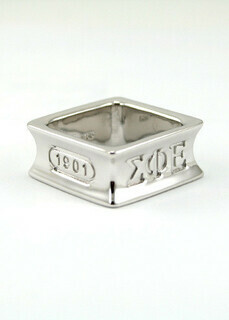 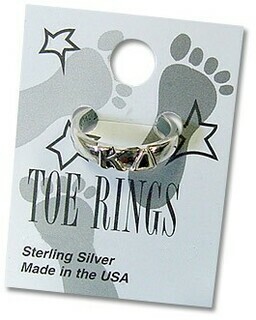 We carry a square sterling silver rings and a thin band ring. 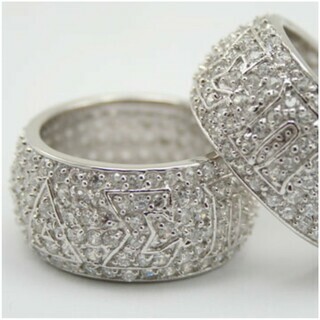 Our ring with cubic zirconium has the sparkle of diamonds without the real diamond price tag. 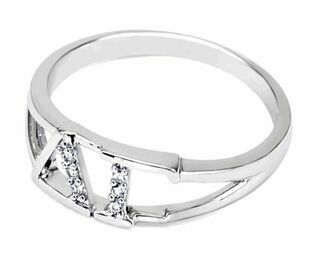 Or, choose the luxurious look of our all-pav� ring with an intricate lacework pattern inset with sparkling cubic zirconia. 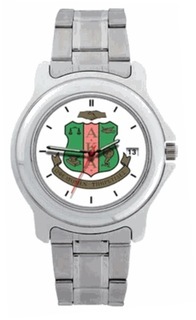 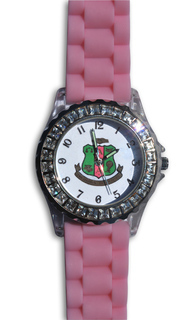 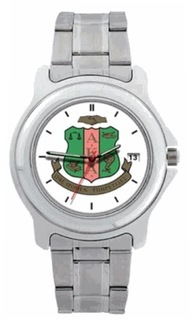 Shop our sleek to sporty collections of sorority wristwatches. 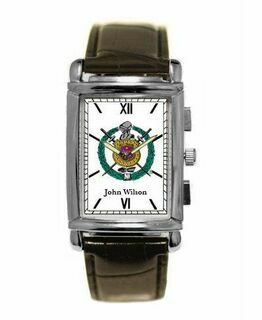 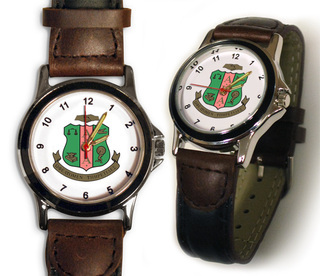 Our stainless steel sorority Swiss military-style watch with inset Greek crest comes with a metal case for gift giving. 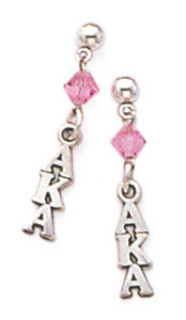 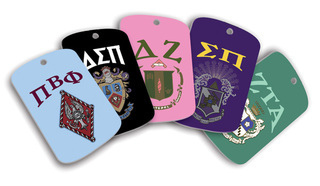 Browse our sorority mascot earrings and Greek-lettered earrings. 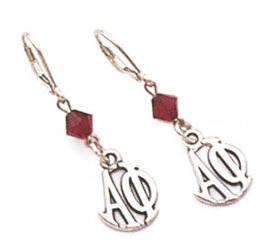 We have elegant sterling silver oval sorority earrings engraved with your chapter's Greek letters and cute dangle charm earrings. 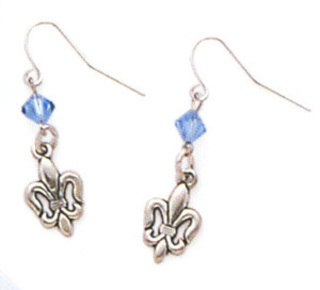 Our dangle earrings and bracelets are popular little sister gifts. 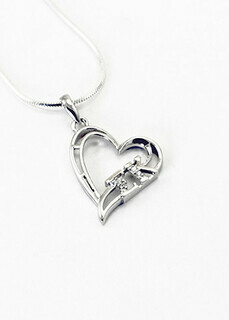 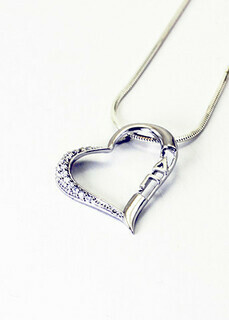 Or, consider our split heart pendants with one half-heart for a big sis and the other for a little sis.